Seth & Kate were married on a private forest property in North Carolina in a day that was full of emotion and sentiment. 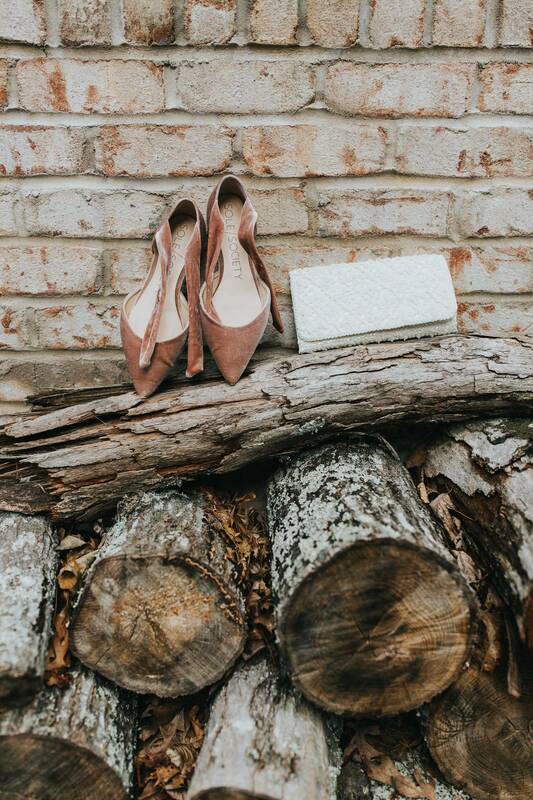 Getting married in the woods allowed them to keep the day simple and focus on the natural beauty around them. 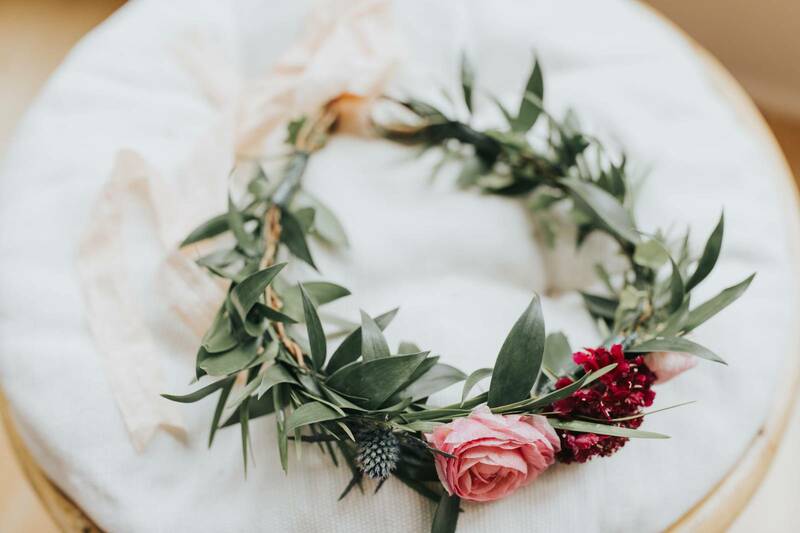 Queensland wedding photographer MALLORY SPARKLES captured the spirit of the day in these beautiful images. 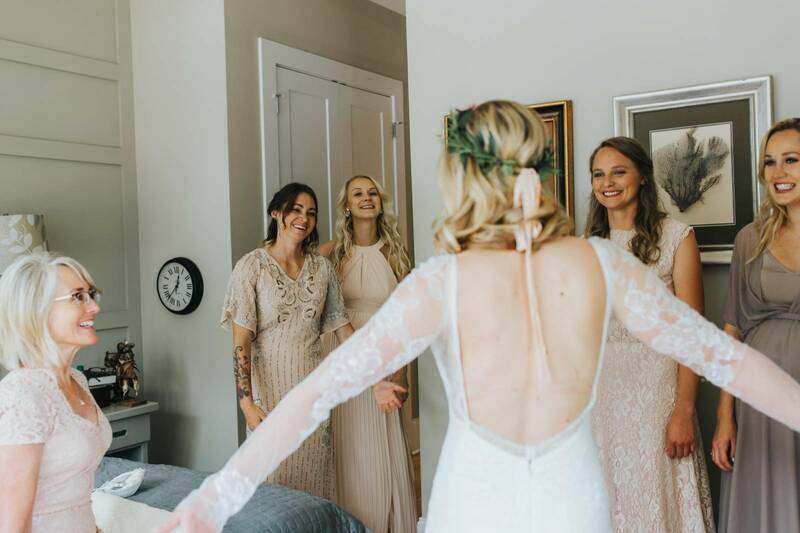 Gorgeous bride Kate - who wore a stunning VERA WANG gown, shares with us, "Originally we thought it would be easier to get married on our friends land but it turns out it was quite the task getting a non wedding venue ready for a wedding! But I wouldn’t change it for the world; my husband Seth did so much work to get the space ready for the wedding. He cleared a space in the woods for the ceremony, cut down trees, cleared brush, etc. He also built a incredible archway to get married under and a path to the ceremony site. It was beyond beautiful and more magical that I could have ever dreamed." The couple had some fun details at the wedding, like the donut board that Seth's father made, the coffee shop where they had their first date was incorporated by having a coffee bar at the reception, and the bridal party walked down the aisle to a live bagpiper which I can imagine made for some very heightened emotions - I don't know about you but bagpipes get me every time! HOW DID YOU MEET? The first time we met was actually seven years before we started any kind of relationship. We met briefly through friends at a church in North Carolina when I was visiting from California. A few years later we became friends on Facebook, and a few years after that I (Kate) sent Seth a message. We talked back and forth for a few months and I had a trip planned to North Carolina to visit a friend that I told Seth about. Seth offered to pick me up from the airport and we went to coffee and a two-year long long distance relationship began. We dated across the country up until our wedding day! TELL US ABOUT YOUR PROPOSAL: As I said Seth and I were long distance. It was always hard to talk about the future because of that complication. We both had fully established lives on either side of the country. Even though I knew Seth was the one for me, it wasn’t a topic we discussed often since we weren’t quite sure how we were going to figure it all out. So in 2018 we decided to spend the holidays together with each other’s family. I went out to North Carolina for Christmas, and actually told my mom before I left that, “All I want for Christmas is Seth to propose to me, but I know that’s not going to happen.” Christmas day came and Seth told me that a friend of his was trying to build his photography profile and wanted to use us as his models. I bought that because I wasn’t expecting anything and Seth is a photographer so it wasn’t something totally out of the ordinary. We went on the photo shoot and were having a ton of fun, and we went down to this one spot by a river. The photographer told me to face one direction and to turn around on the count of three and he would take a photo. I did so, still not expecting anything at all and when I turned around there was Seth down on one knee asking me to be his wife. I don’t even remember what he said or what I said, I was in complete shock and awe. Best moment of my life. TELL US ABOUT FINDING YOUR WEDDING DRESS: I am definitely particular about my style and really wanted something unique and with sleeves. I thought this wouldn’t be hard to find but it was! I was actually about to buy a dress I loved off of Etsy even though everyone thought that was a terrible idea. Then my mom and I went to a store in San Francisco that sold sample dresses. It was so much more amazing than I expected and they had just gotten a shipment of dresses with sleeves! The first one I tried on I fell totally in love with, it was completely unexpected and so special to find it with just my mom and me. DID YOU HAVE ANY DIY ELEMENTS? Besides the things Seth did in the woods, not so much. We planned the wedding while still being long distance and in 5 months, plus we own our own businesses! So we definitely didn’t need the added stress as much as we would have loved to do that in other circumstances. DESCRIBE YOUR WEDDING FLOWERS: I wanted as I described to my florist, 'an organised mess of wild flowers'. I wanted them to look like I just picked them from a field. And they did! NARCISSE did an incredible job! FAVOURITE DETAIL OF THE DAY: Our ceremony was incredibly powerful and surreal. It was filled with the presence of God and with people we love dearly. I can’t describe it in words, you really had to be there, but it was a moment in life of perfect peace and joy. WHAT ADVICE WOULD YOU GIVE OUT TO A COUPLE PLANNING THEIR WEDDING? Get a wedding planner! Abby from 13 CEDAR EVENTS was the dream. We really couldn’t have done it without her. IS THERE ANYTHING YOU WOULD CHANGE OR DO DIFFERENTLY? The only thing would be to make the reception longer. We felt so overwhelmed with everyone we wanted to spend time with and we would have loved to had more time and seen more of our friends but it was truly the most beautiful and perfect day! A huge thank you to Queensland wedding photographer MALLORY SPARKLES for sharing this beautiful shoot with us. Mallory simply adores weddings, and even more than that loves getting to know her couples and hearing their stories and getting to share in the sweetness of their day! If you're a bride looking for a Queensland wedding photographer see more of Mallory's wedding photography work here.